Onyx's the interactive dinosaur who just loves to play. With real dinosaur movements, sounds, and dino-sense responsiveness, Boomer can detect when you're interacting with him. He will react to being stroked and touched. Control him if you can! 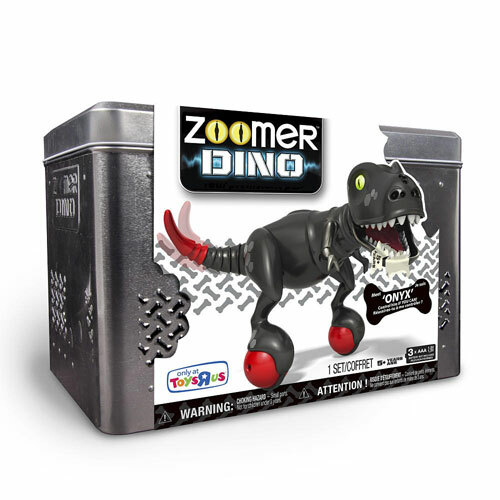 Onyx is the incredible Zoomer Dino that only you can tame! He can sense where you are and what you're doing! Using True Balance Technology, Onyx perfectly balances while roaming freely around your home! 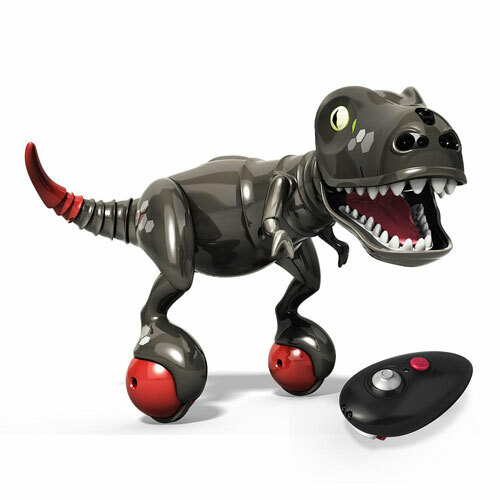 Onyx the Zoomer Dino is the ultimate pre-historic pet for kids ages 5+, charges via USB cable and requires 3 AAA batteries for remote control operation.